The latest playtest video of Double JUMP showing the splash and title screens and other changes as well as some new levels. Also check it out on Steam and become a follower of the game. Added and changed a bunch of sound FX and made improvements to the RotoBlocks and object collisions (player dead bits now spawn in correct location). The player physics has changed a bit over the last few weeks as well. The top speed is slightly slower but acceleration is faster. Also gravity is a little stronger now with jump height adjusted to compensate and you move slightly faster on the ground than in the air. 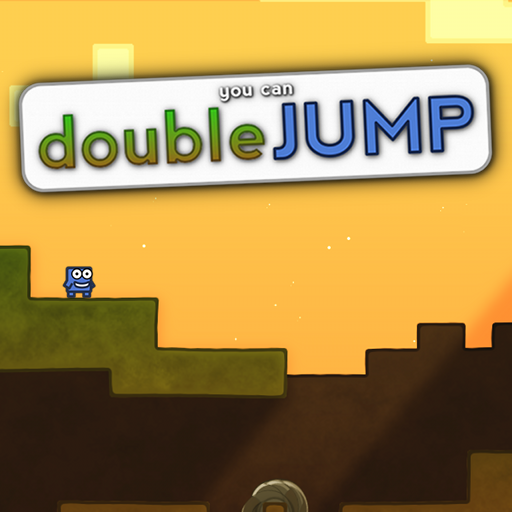 Other news include setting up an early development page for Double JUMP on Steam. Check it out and follow the game.